Contact-protected, unbreakable crocodile clips with wide opening. Clamps bolts with a max. Ø of 30mm. 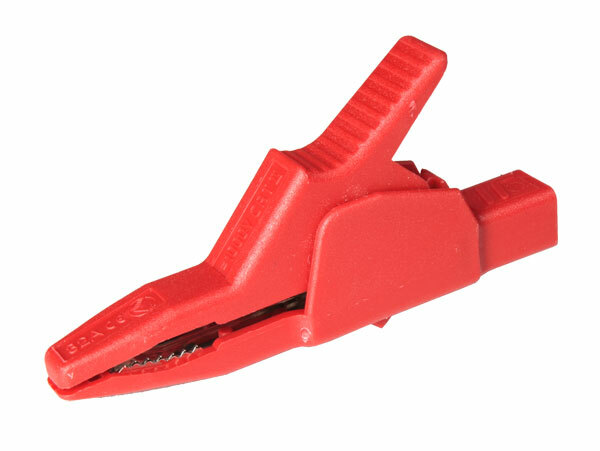 U-shaped solid wire clip with a fine-wire face , 4mm Ø brass connecting socket, suitable for use with safety-type measuring leads.